Wicanders cork floors have been described as a game changer in the décor industry as they offer warmth, a low-noise finish and sustainability. 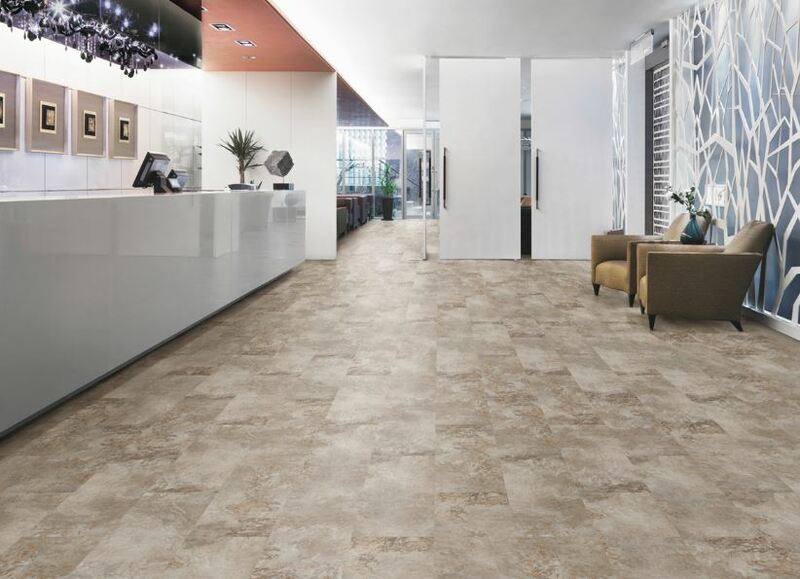 The flooring product is available from Tile Africa Commercial and is not only state-of-the-art, but also sustainable, says Vaughn Dyssel, Tile Africa’s Commercial Sales Manager. “Cork is sustainable as it is harvested without harming the trees. Cork is intermittently removed from the trees by hand. Regular extraction of cork is a fundamental contribution to the environmental, economic and social sustainability of the rural areas in which it is farmed,” says Vaughn. The cork used in Wicanders comes from the bark of the cork oak tree. With innovative Corktech technology, the cork can be made into quality products which offer elasticity, resistance, low weight and are impermeable to liquids and gases. Cork, which is recognised as a renewable resource, is ideal for green building trends, which aim to protect natural resources while offering the best in floor and wall coverings. Corktech, a multi-layered structure of natural cork, ensures that the product has a protective layer that is comfortable for people to walk on while simultaneously reducing noise. Designers will be thrilled to know that this look and feel suits any style or design. One of the advantages of cork is its elasticity, which means that the floor will not be damaged should something fall on it. “Tests show that Wicanders cork floors have the highest shock-absorbing performance,” says Vaughn. Another major benefit of cork flooring is its ability to improve wellness through comfort. “The various layers in a cork floor create flexibility which accommodates comfortable walking, relaxation and enjoyment. It creates energy that moves upward towards our muscles and tendons, causing them to vibrate, which reduces heel impact while offering stability. The energy-saving attributes of cork also help the flooring to retain heat and provide warmth,” explains Vaughn. The beauty, comfort and durability offered by cork flooring have made it suitable for places such as hotels, homes, hospitals as well as tourist attraction areas. “As the latest trend in the decorative and design industry, cork items enhance spaces and offer a healthier environment. Customers are guaranteed added value, highest-quality flooring and walling from natural material which is available in different patterns, textures and colours to suit their style and needs,” concludes Vaughn. For more information, contact Tile Africa on +27 (11) 206 9700 or via www.tileafrica.co.za.